This topic contains 67 replies, has 19 voices, and was last updated by balanceisthekey 11 hours, 24 minutes ago. The original lyrics include the line “I feel it in my Body and feed it to my source” – a direct reference to Wiccan Avoda Zara worship! (The more recent English versions switched it to “I feel it in my body, I feel it in my soul”). While the original frum artist of the song did not know the origins of this song (he seems to have gotten it from an Israeli group called Sagol, who translated the innocuous version to Hebrew and included it on a very-much-not-avoda-zara cd that included many songs praising hashem) the original is most definitely Avoda Zara and should not be played by our simchos. It is a dangerous copyright issue as well. “Yidden” by MBD was originally a Eurovision winning song about how Ghengis Khan was a prusta menuvel. Chabadskers sing the French national anthem as a tisch niggun. Some historians say that there are Birchas Kohanim niggunim that come from monks chanting. Not sure what the issue is with this song in particular. Yserbus, the problem is is that HE DIDNT EVEN CHANGE THE WORDS! Yserbius, a song which was originally made for avoda zara is actually assur to sing or listen to. The Yetser Hora is dancing. In general Rav Moshe was against music. This is a general outlook in some quarters regarding aveiluton the Churban. For lenient opinions see Shut Shoel uMeishiv Mahadura Kama 3:72, Shut Yabia Omer 6 OC 7 and Shut Yehaveh Deah 2:5. DY, many of of our tunes (e.g. the popular one for “Maoz Tzur”) come from church music. On the other hand, some say that the Gregorian chants were stolen from the Bet haMikdash. Rabbi Yisrael Najara also adapted non-Jewish tunes. In any case how is Yeshivishrockstar so knowledgeable about Wiccan music and Hindu avoda zara? @DaasYochid Rav Moshe ZT”L seems to be referring to unaltered songs or recordings by an עכו׳ם. He’s certainly not assuring the music itself, but the song and lyrics which are sung for the purpose of Avoda Zora. And if you read the rest of the teshuva, it sounds like he was against pretty much all Jewish pop music, as a lot of Rabbonim were and still are. And @yeshivishrockstar, how did you even find this song? It took me a full ten minutes of searching on YouTube to find a single remix, and that’s with the name of the song, singer, and band! I couldn’t even find an original recording or a mention on Google of the lyrics. Rabbi Shay Tahan on Torahanytime.com based on Igros Moshe Yoreh Deah Chelek Sheni – Teshuva 111 says that according to Rav Moshe the song adama vshomayim would not be assur but would be mechuar hadavar. It is not true that the tune for Maoz Tzur is taken from church music. Both Maoz Tzur, and a Lutheran choral are both based on an earlier german folk song. In fact, its use for Maoz Tzur was already popular almost a hundred years before Luther. Yserbius, there was a Whatsapp message going around and a news item on Matzav. (Mods, are you allowed to mention Matzav on YWN?). The problem was that the post was referring to a song “Strong Winds, Deep Water” that was recorded almost 10 years after the original Sagol song (as an Israeli the song was familiar to me, but not its origin story – to hear it Google ‘Sagol bandcamp adama veshamayim’ ). So I googled the complete lyrics and found a version called “Tall Trees” sung by Gila Antari who is a Wiccan jew rachmana litzlan (and whose version seems to be influenced by the Israeli version). In the Youtube comments, the wife of the original singer commented on the lyric change, and that directed me to the original song. Interestingly, the catchy ayayayayayayayayayayyo high part seems to have been composed by the Israelis and is thus not avoda zara. No earlier version has it, and almost all later versions seem to be influenced by that (and many give a shout out to the Israelis). DY, many of of our tunes (e.g. the popular one for “Maoz Tzur”) come from church music. That is a popular myth. If the lyrics are the same, R Moshe assers mei’ikar hadin. Mechuar hadavar is without the lyrics. @DaasYochid Rav Moshe ZT”L seems to be referring to unaltered songs or recordings by an עכו׳ם. He’s certainly not assuring the music itself, but the song and lyrics which are sung for the purpose of Avoda Zora. He is assuring even if the purpose of that specific performance is not for avoda zara. He talks about Acher, and presumably his kavana was not for avoda zara, but was not allowed to sing those songs. And if you read the rest of the teshuva, it sounds like he was against pretty much all Jewish pop music, as a lot of Rabbonim were and still are. That’s not what he is saying, and that’s totally a side point. He rejects that the issur of listening to music after the churban should be why Acher went off, and instead says he sang avoda zara songs. And @yeshivishrockstar, how did you even find this song? Point of information, prana is not the name of a Hindu idol. It is a Sanskrit word that translates into life force. The lyrics to adama vshomayim are not the original lyrics. Ergo, it is not assur. Is that what you meany when you wrote – Yserbius, a song which was originally made for avoda zara is actually assur to sing or listen to? Jackk – they are, merely translated into Hebrew and dropping the worst line. It is no different if Amazing Grace, say, was translated to Hebrew. It is still an idolatrous song, no matter how innocuous the lyrics. 2. R’ Ovadiah Yosef (certainly qualifying as at least a daas yochid even for Ashkenazim!) is meikel altogether with ‘transporting nigunnim’ as Avi K quoted above. 3. It is arguable that even R’ Moshe would agree in this case that its ok–not only because some Jews came along and translated the words into Hebrew with the problematic line being left out, but more significantly because even in the world at large, this song–i.e. the tune and general words–seems to be primarily associated with non-inherently-avodah-zarah-groups, such as Rainbow Gatherings and the like (as evident from the testimonies of those above about the relevant google searches), using the words ‘i feel it in my body, i feel it in my soul” which are very open and ‘pareve’. The original words of ‘i feed it to my source’ (which itself is also somewhat vague) are hardly known and associated anymore with this song, even among the goyim. 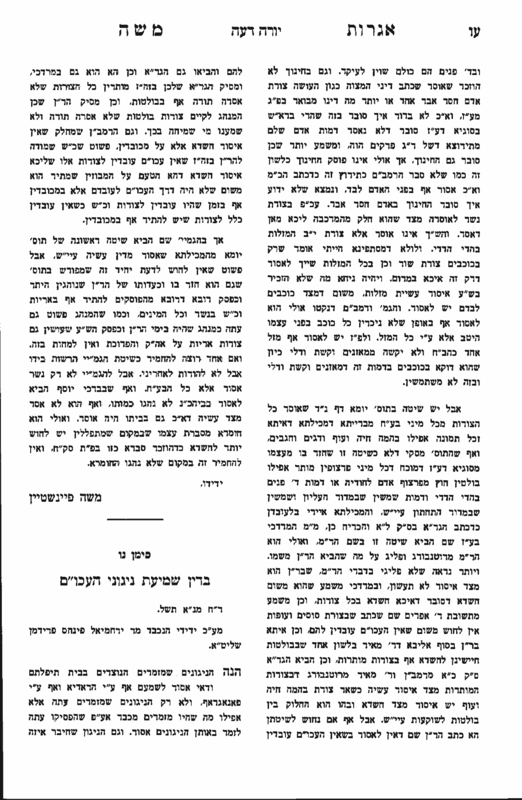 It seems that Klal Yisroel is relying either on R’ Ovadyiah or on this sevarah! Rockstar, you may be correct but prana is not the name of a Hindu deity, ergo my point of information. R’ Ovadiah Yosef (certainly qualifying as at least a daas yochid even for Ashkenazim!) is meikel altogether with ‘transporting nigunnim’ as Avi K quoted above. We’re not discussing transporting stam secular music, we’re discussing avoda zara. The whole theme is avoda zara, and changing one line doesn’t affect that. Rav Moshe writes that even if they no longer sing it, it remains assur, so whatever association people make won’t change the fact that it’s assur. The רמ”א says that if a בעל תפלה uses a niggun from a”z, we tell him to stop, and if he doesn’t, we dismiss him. In Hindu philosophy including yoga, Indian medicine and Indian martial arts, prana (प्राण, prāṇa; the Sanskrit word for “life force” or “vital principle”) permeates reality on all levels including inanimate objects. I Five types of prana, collectively known as the five vāyus, are referred to in Hindu texts. Ayurveda, tantra and Tibetan medicine all describe praṇā vāyu as the basic vāyu from which the other vāyus arise. Since you are convinced that even with the change of words it is still avoda zara, can you please explain how these words are avoda zara ? adama means earth, shomayim means sky, chom haesh means heat of fire, tzlil hamayim – sound of water. None of these are shemos of Avoda Zara. The song is about worshipping the earth as a god. All of that is part of it. I should clsrify that I never heard any version of the song, I’m just saying what the halacha is assuming the reports of the origins are true. as well as words/chant of Ay ya Ay ya yo etc… and the words are the same thing just in English with some minor variations it was made by pagan earth/nature worshippers. It might sound too crazy TB true, but do u want to take that chance ?? The nigun is not a’z, after changing the words. For a song to be avoda zara, it does not need to include any names of avoda zara. R’ Moshe assers gospel songs with words of Psalms, (i.e. Tehillim) if made by non Jews, since we assume the intent is for avoda zara. Even if it were sung wordlessly, it would be mechuar hadavar, and we would dismiss a chazan who insisted on singing it, so why would anyone defend it? In fact, though, if the words remain largely intact and the theme is the same, it should be assur m’dina. Laksern – the words weren’t changed, merely translated. 1) It would still be mechuar (disgusting). 2) The reports are saying that the words are largely the same. If those reports are true, it would be a”z. The Kalever famous hungarian song was a popular peasant song. We can be mekadesh the nigunim. So far, I’ve counted 4. Not joking. Laskern – the words werent changed (not saying its the artist’s fault, it was very popular in Israel and almost noone knew where it came from). I would just like to point out that the chorus line is one of the permutations of the shem Hashem, hay yud hay vav. Ayin a nusach sefard siddur by mussaf on rosh chodesh, and you will see how it is one of the permutations. I would be wary of saying that line. If the source is secular, you can be mekadesh it. If the song comes from a”z, it’s mechuar, and if the lyrics remain, it’s assur. 5ish, are you saying that we go according to the first use? Actually, it was used by the Benedictine monks before becoming a drinking song. Moreover, if it was a German folk tune it probably originated in Teutonic paganism. –R’ Ovadiah is meikel even when it was used for a”z mamash, he doesn’t go with this Ram”a at all. Uh, I don’t know how minhag yisroel works. But with that logic, you are saying if enough people do something it’s muttar. So we can make it muttar to do biluy arayos if it’s common? Cuz I think avodah zara and giluy arayos are on the same level, the whole die before you do it type. This line of argument is signature of the group that published Rav Belskys thoughts on alternative medicine. How does the final assertion follow from the quote from Wikipedia? Shopping613–you’re obviously right that minhag yisrael isn’t a freeforall, but you didn’t quote the end of that sentence in which I clarified and qualified the extent of it. It doesn’t matter what the rest said. Avodah Zara is not allowed. Period. 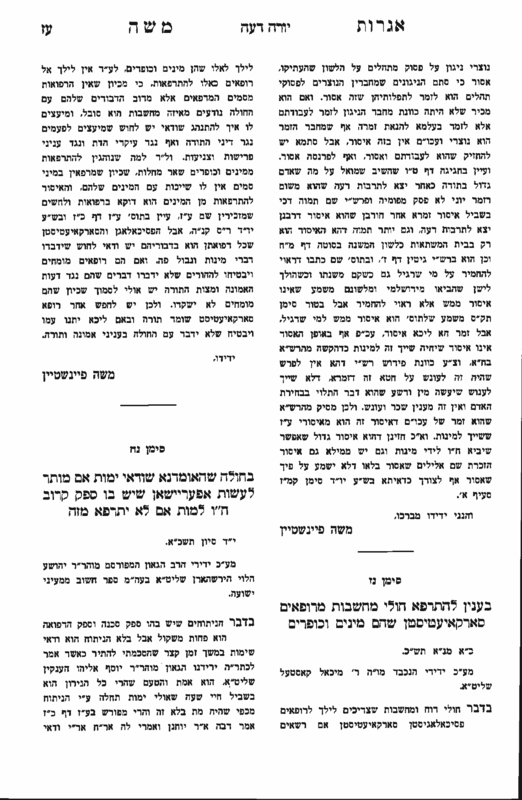 Halacha states it would be better to be KILLED and you are looking for a kula?! Ipchamistabra TY for saving me the time. If a great Rav would say this isn’t avodah zara, but rather a pareve and even proper song of connecting to Hashem (if sung with the right intentions like good Yidden do), I hope you wouldn’t have any reservations about embracing it. Minhag Yisrael (within the aforementioned parameters) is a great great Rav. Being too meikel is dangerous, and so is being too machmir. The bathwater needs to be clean, but don’t throw out the baby along with it. What great Rav said this is ok? So which Rav allows Avodah Zara? Also I think minhag yisroel is if ALL the leaders of the generation agree on something and it’s really hard to make one nowadays. We’re talking about possibly being over on avodah zara, and you’re talking about a catchy tune you apparently like. I don’t think there’s any argument for worrying about “being too machmir.” If you have a legitimate source, people would probably hear you out. But, no rabbi in the history of the world (probably not even reform) is going to say that people should just chill out and not take avodah zara so seriously.